This post is sponsored by Nintendo. As always, all opinions are my own. 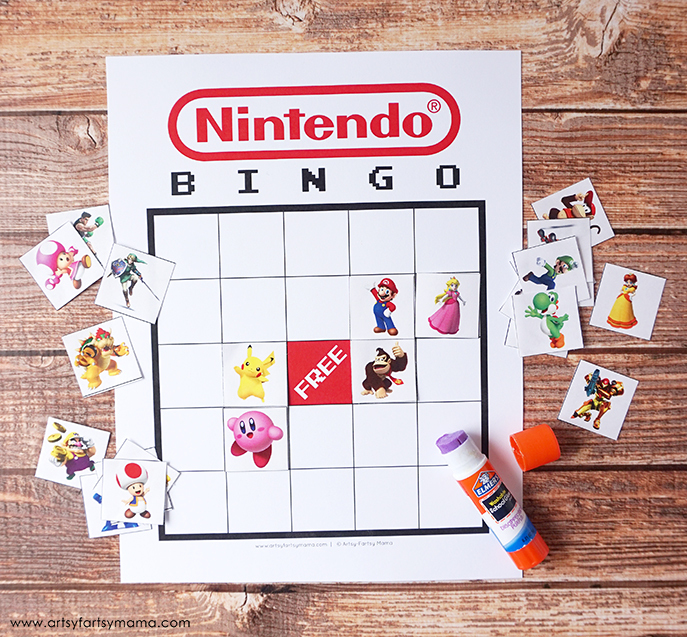 Play Free Printable Nintendo Bingo with your favorite Nintendo characters! We recently went to an event with Nintendo, sporting our DIY Nintendo Shirts, and had such a fun time playing games on the new Nintendo 2DS XL. This event got us talking about our favorite games, as well as our favorite Nintendo characters. That inspired me to put together a bingo! 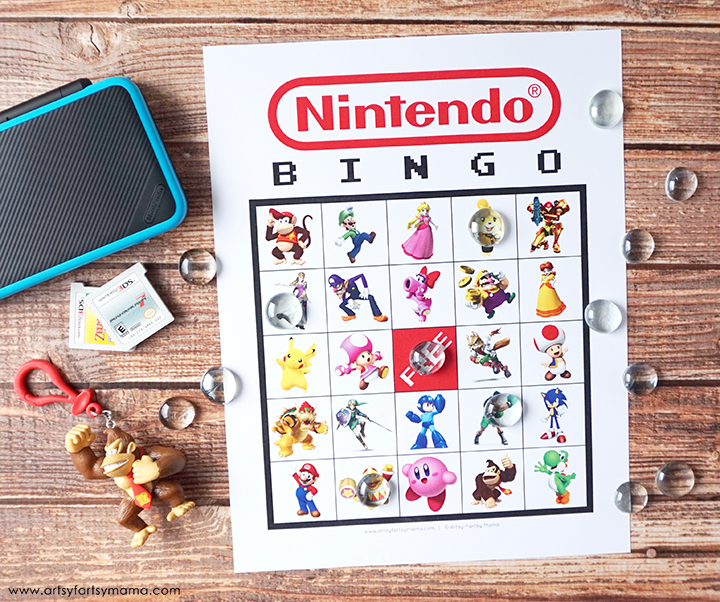 For those who are also Nintendo fans, I've created a free printable Nintendo Bingo for you to play and celebrate your favorite Nintendo video game characters! 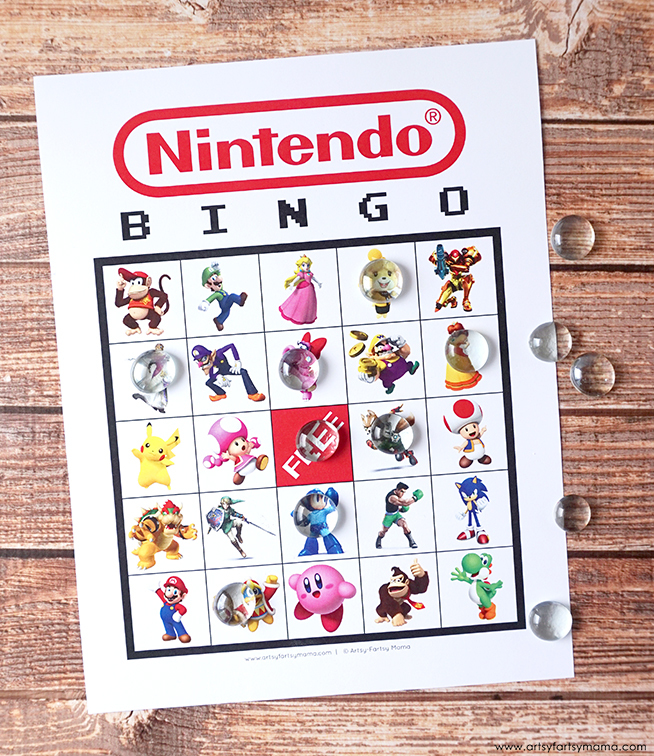 This Nintendo Bingo includes all of your favorite characters, including Mario, Luigi, Donkey Kong, Pikachu, Kirby, Link, and a whole lot more! The bingo set includes ten different bingo cards, so it's easy to print and use for parties. It's fun for every age to play, and the calling cards include the names of all the characters in case you don't know who they are. The blank set works a little differently. There is one bingo card with empty spaces (except for the "free" spot). Print and cut out the bingo pieces to assemble the bingo cards yourself. All you need to do is glue the pieces in place and you're ready to play! This is a great option for little hands that want to be creative, or if you have a larger group of people and and need more than the 10 different cards. The blank bingo set includes all of the same characters as the full set, but you get to create your own bingo card setup. 4. Choose a calling card and say it out loud. Each player will cover that item on their card with a marker. 5. Once a player has 5 squares covered in a row (horizontally, vertically, or diagonally), call out "BINGO!" to win the game! As promised, I want to tell you all about the new Nintendo 2DS XL! This new system has a larger screen, a sleek clamshell design in either black/blue or orange/white, and has a powerful processor for such a lightweight package. The Nintendo 2DS XL also supports amiibo for compatible games. In addition to gaming, you can also take and edit photos, browse the internet, and stream videos from Hulu or Netflix! There is a huge library of games available for the Nintendo 2DS XL such as Mario, Donkey Kong, Zelda and Animal Crossing, as well as other popular kids and family-friendly titles such as Minecraft, Pokémon and LEGO. 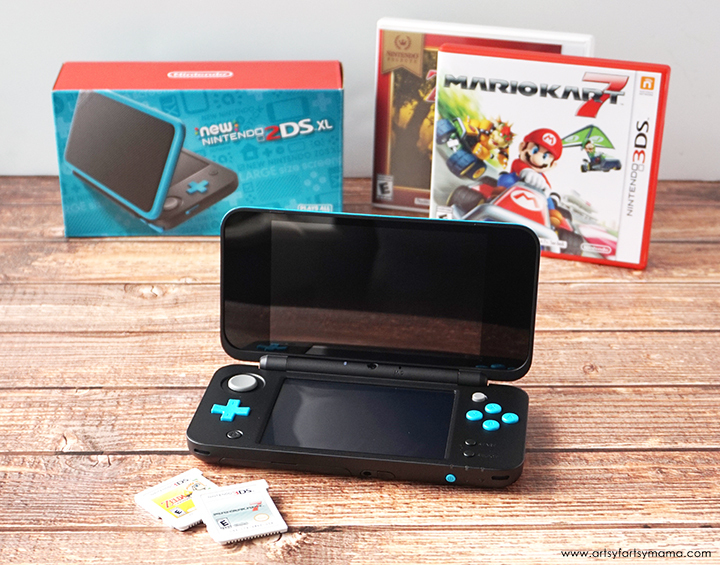 Here's some more great news - if your family already owns a Nintendo 3DS or even a DS, those games you already have can be played on the this new Nintendo 2DS XL system! You can get your own Nintendo 2DS XL for $149.99. Games can be purchased at stores like Target, Wal-Mart and Best Buy, or you can purchase digital copies of games on the Nintendo eshop without leaving the house! The eshop offers three additional benefits for parents: tons of classic, nostalgia-evoking games for under $10, 24/7 shopping, and no lost game cartridges! We are planning a few vacations over the summer break, and the Nintendo 2DS XL is going to be a lifesaver. 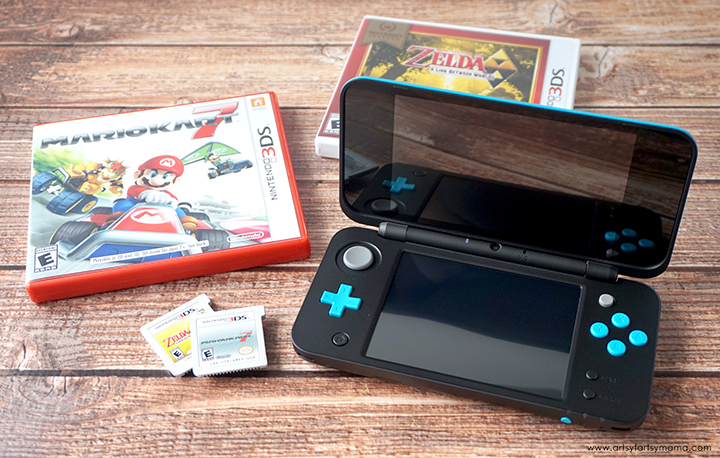 Whether you’re traveling by air or by car, the Nintendo 2DS XL is sure to keep kids entertained throughout the trip.